Founded by professionals with over 15 years of experience in the fields of information technology and telecommunications, Hivoox Telecom is a multinational IP telephony operator that offers flat rates for IP calls, virtual numbers, virtual PBX, IP phones, IP adapters and other services and telecommunications equipment for businesses and freelancers worldwide. 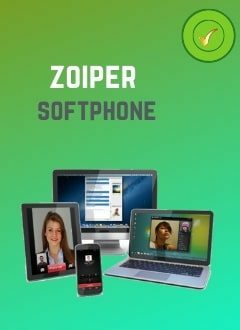 In all countries where we are present, we market our IP telephony services through our online store for businesses, freelancers and individuals. With our IP telephony services, companies and professionals from various countries enjoy the benefits of IP telephony and significantly reduce their telecommunications costs. Our IP unlimited plans to landlines and mobiles, our virtual PBX supporting up to 100 telephone numbers for different countries, our IP phone numbers coverage (up to 65 countries) and the catalog of IP phones tested by our technical team, along with customer service always available to the client 24 hours a day, has positioned Hivoox between the most recognized providers of IP telephony in the voip market. Hivoox ambitions to be the number 1 IP telephony provider. In order to achieve this, our research and development department works everyday to develop new services based on the needs of our users. Our ongoing collaboration with our users lets us know what they think of our services and we take in consideration their suggestions for improving our IP telephony services. Our customer service consists of a group of experts in IP telephony, speaking several languages, and trained to help customers in everything related to the use of our IP telephony services. We are one of the rare IP telephony operators to give full support to our users, by phone and email 24/7. Providing an IP telephony service of great quality gives us the trust of our customers and makes Hivoox Telecom a reference in the IP telephony market. It also allows us to contribute to this extraordinary technology (Voice over IP). Aware of these issues, we consult and assist businesses and professionals in their implementation projects or improvement of IP telephony services, always with a high level of quality. Our inter-connected network with the best operators in the world of telecommunications, allows us to achieve quality standards similar to the landline and mobile telephony audio, reducing our benefits to offer a cheap ip telephony service, but with best quality. All our services are offered with no term contract, no small print and no surprises. We guarantee a top quality ip telephony service, with a competitive price and stable. Our free technical, efficient and professional support team, serves our customers in any doubt or question they have. We listen to our customers and provide solutions to their needs. The satisfaction of our customers is at the center of our concerns. We are always happy to receive constructive criticism and suggestions. In Hivoox Telecom, our users are part of our company and are treated as members of our community. We offer our customers the assurance of quality, stability, prices, a professional and friendly treatment.